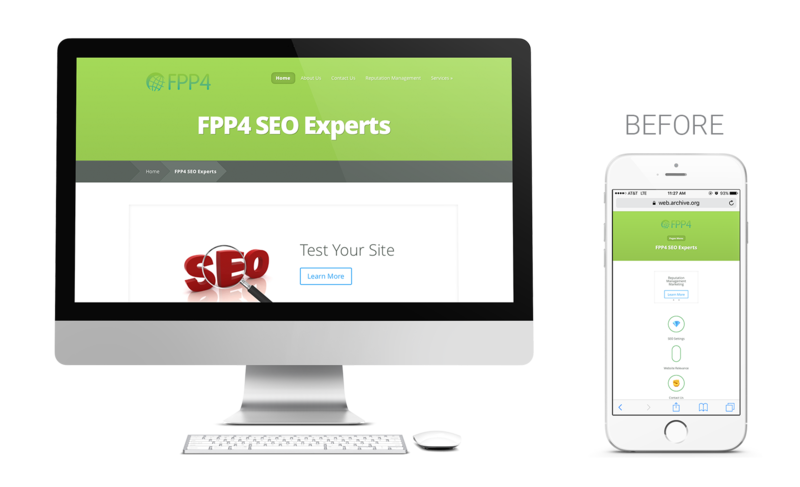 FPP SEO came to TIK:TALK for help with branding and fleshing out a website. They wanted to highlight how they can guarantee results when it comes to front page placement and their 17 years experience. 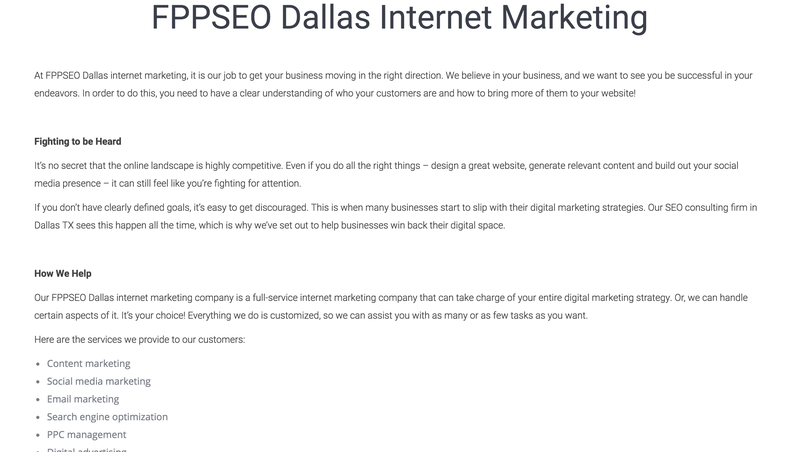 As a digital company, they needed the site to express trust in technology. 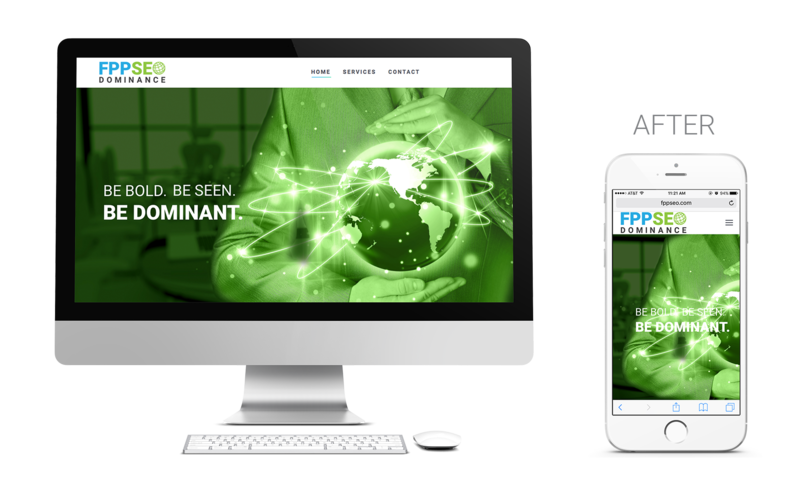 FPP SEO has used their site to build their brand, leveraging it to help land new clients. They loved the way we incorporated the seal that highlights front page placement or their money back for guarantee results. 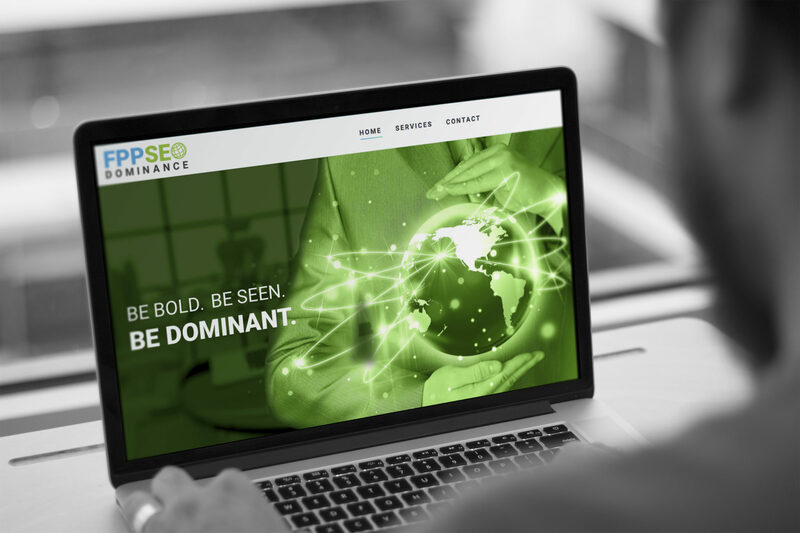 The ease of navigating through all the services FPP SEO has to offer for their clients has made their site an invaluable tool in their selling process.